Besant Technologies Provides Best AWS Training in Bangalore. We train students from basic to advanced concepts, within a real-time project. Learn how to use Amazon Web Services® from beginner level to advanced techniques which are taught by experienced working professionals. With our Amazon Web Services Training in Bangalore, you’ll learn concepts in expert level with practical manner.Awarded as the Best AWS Training Center in Bangalore with 100% Jobs for freshers and working professional. Besant Technologies Provides Best AWS Training Courses in Bangalore – Marathahalli, BTM Layout, Rajajinagar, Jaya Nagar, Kalyan Nagar, Indira Nagar and Electronic City. We train students from basic to advanced concepts, within a real-time environment. We give 100% Assurance on Your AWS Training & Certification Success in Bangalore. A lot of people are taking AWS training in Bangalore. The reason? Well, this course has been able to earn huge popularity for itself. This cloud computing platform comes with a number of features and has brought about a kind of IT storm. You will be surprised to know that almost every IT training institute is offering this course nowadays. So, if you haven’t enrolled yourself yet in this course, now is the time to do so. We Provide Best Aws Training in Bangalore with Corporate People who has extensive knowledge in AWS Cloud. Our Trainers are Project Mangers in Amazon.com who are involving in AWS Cloud development. Take AWS Course in Bangalore at Besant technologies and get certification on aws solution architect. Our AWS Syllabus designed by most experienced trainers which will Suitable for both Freshers and Working Professionals. We will focus on Practical Oriented AWS training rather than theory Classes in Bangalore. Once you enrolled we offer AWS Study Materials before the Classes Started. Learn Aws Course in Bangalore with unique Course Syllabus. We do provide Basic Devops Training like git, github, jenkins, Maven, Ansible along with this AWS Training in Bangalore will be conducted. 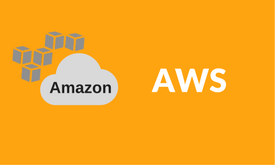 AWS or Amazon Web Services cloud computing platform offered by Amazon is comprehensive in its truest sense. AWS helps businesses make growth by providing them deployment, application, analytics, database, storage and compute services. It’s a subsidiary of amazon.com and is high in demand. So, be wise and enroll yourself in an AWS training institute in Bangalore for a brighter future. Our AWS Training in Bangalore helps you improve your knowledge in the field of cloud computing. When you get trained in this course, you equip yourself for a great info-tech job. You earn a handsome salary from a job in this field. AWS is highly recognized. And our AWS Training in Bangalore course is highly valued. The community of AWS experts scattered around the globe is large. By receiving training in this course, you will be able to be a part of this large AWS community. Since re certification is required in this course, you can stay updated with the newest developments in this field. simply set your career. Our incessant efforts in comprehending the possibilities of AWS in the world of IT have rendered us competent in helping interested people learn this sskill set Our trainers are some of the most knowledgeable in the industry with profound empirical knowledge and an enviable proficiency in theories. By following a student- centric approach of teaching, they have been ensuring impeccable learning outcomes in students. What makes us more popular as an IT training institute are our courses, which are not just easy to grab but also extremely relevant as far as industry needs and standards are concerned. We endeavor to keep you abreast of all the latest IT innovations and make sure every bit of information we pass on makes sense to you. What more? We offer amazing placement guidance and help you clinch your dream AWS job, almost effortlessly. Do you need training in AWS? AWS doesn’t just validate your technical skills, but also offers tangible benefits that help you highlight your achievement and improve your AWS expertise. The sheer availability of institutes offering AWS training in Bangalore speaks in favor of the popularity of this course. If you seriously want a great career in the field of cloud computing, then receiving AWS Training in Bangalore from a reputed institute like Besant Technologies is a must. A lot of people having an inclination towards the IT industry are taking AWS coaching classes seriously. Why not be one among them for a brighter future? We rated as the Best AWS Training institute in Bangalore with jobs. Get enroll on AWS Course and Placed in Top MNC with High Package. So, your AWS certification course is over. Now, the next step is to get a great job. But do you know what avenues are open for you as an AWS expert? Well, there is no dearth of companies looking for professionals who can help them with cloud-based services. So, as an AWS expert, you can be of immense help to any such company. With AWS certification, you will be able to hold positions like AWS architect or cloud solutions architect, with varying seniority levels. Cloud backup and disaster recovery are also popular AWS fields where you can find work. Most of our AWS Students are Placed in Top MNC like Infosys, Amazon, Google with good Salary like 10L, 15L per annum. So update skill on Aws Cloud and get your dream job as AWS developer in india and other Countries. Call us 9108126341/9108126342 for free Demo Session on AWS Training in Bangalore BTM & Marathahalli get 1 hour basic knowledge on Aws.